Second-hand Sales are available to purchase via a second hand shop named 'Little Ones' - 4/132 Ōpāwa Road, Ōpāwa ​, Christchurch. The uniform should be clean, tidy and named. 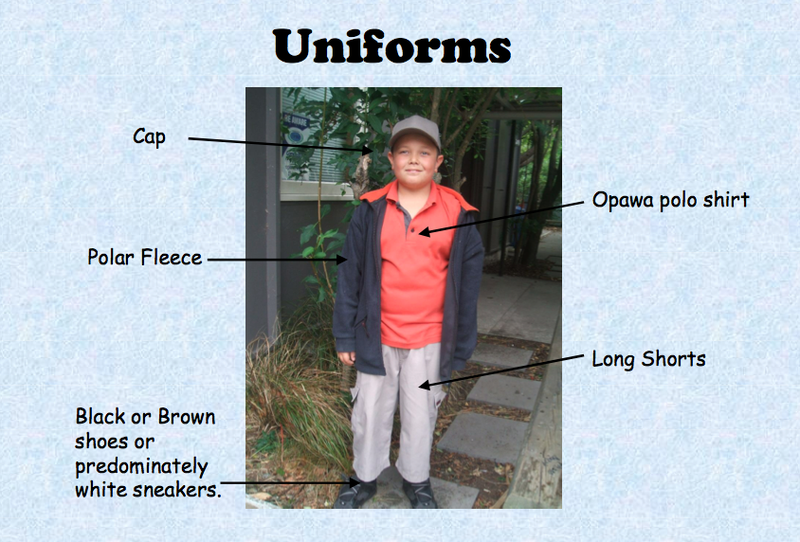 Only the long sleeved Ōpāwa School under-garment (gunmetal grey) should be visible under the Ōpāwa polo shirt. Socks/tights - plain navy, black or white. Shoes must be black, brown or predominantly white trainers, leather shoes or sandals. 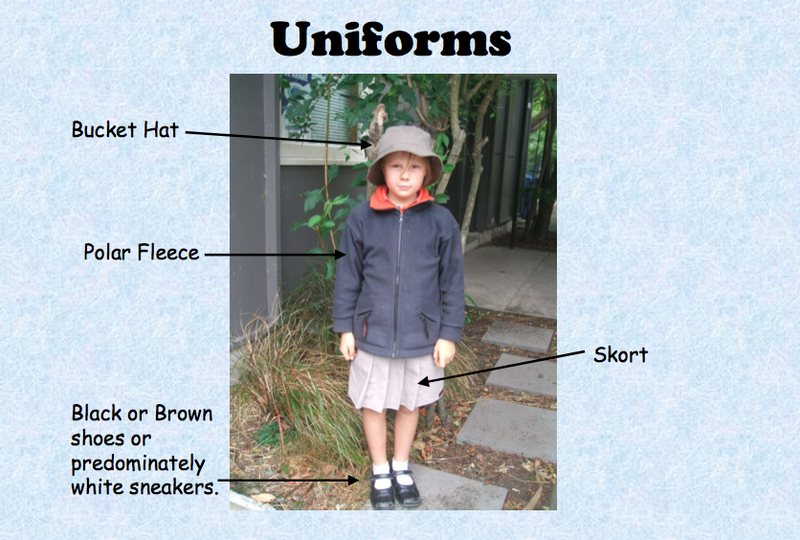 School sun hats must be worn in Terms 1 and 4. Plain black or beige bucket/wide brimmed hat or cap. No nail polish and/or makeup to be worn at school. Coloured hair is not appropriate. ​Hair Accessories: plain black, navy or Ōpāwa orange headbands, ties, ribbons, bows or clips. Ties, ribbons, bows or clips to be no larger than 8cm in diameter. Drawing on skin and tattoo transfers are not acceptable. One piece swimming togs are recommended. No jewellery should be worn except watches and ear studs or sleepers. No other earrings. Any other jewellery, including rings and necklaces can be a safety hazard and are not to be worn at school. All jewellery must be removed for sport. Variations due to cultural or religious beliefs are allowed on written request from parents/caregivers.